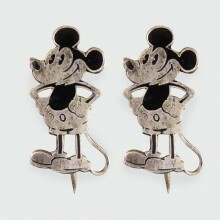 25mm tall this set of die-cut Sterling Silver and Black Enamel pins depict Mickey Mouse in his class.. 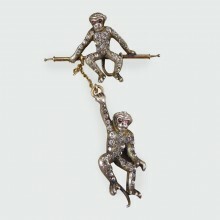 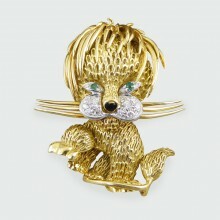 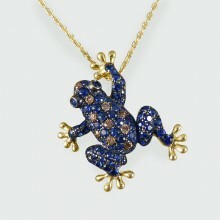 This lovely brooch depicts two monkey, one hanging playfully from a chain and the other sat on a bar.. 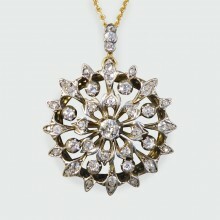 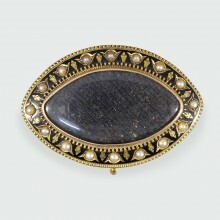 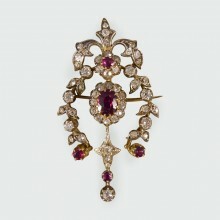 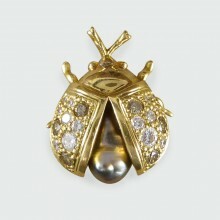 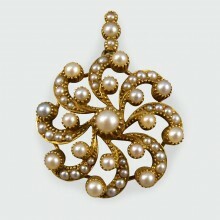 This lovely 1950's Earring and Pin set have been crafted from 18ct Yellow Gold and adorned with both.. 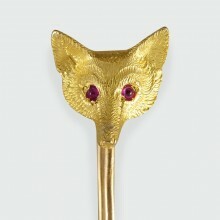 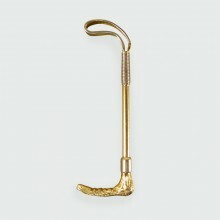 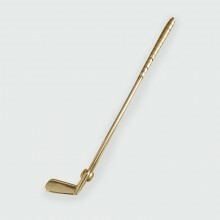 This golf club brooch has been stamped act and is made up of a yellow Gold club with a White Gold en.. 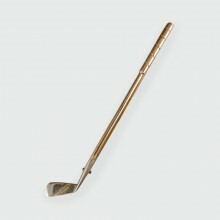 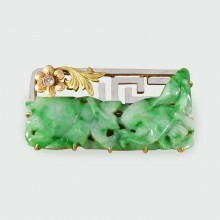 This golf club brooch has been hallmarked and hand crafted in 1990 in London. 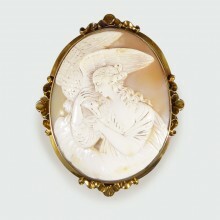 Created from 9ct yello..